Improve your housekeeping scores and guest experience. Your housekeeping staff works very diligently to ensure a perfect rooms. 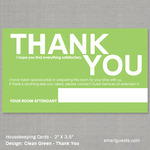 Let them express it with our popular Housekeeping Cards. After cleaning the room, personalize card with room attendant's name and place in an area to welcome your guests. Why use these at your hotel? Back is blank for additional notes to guests. 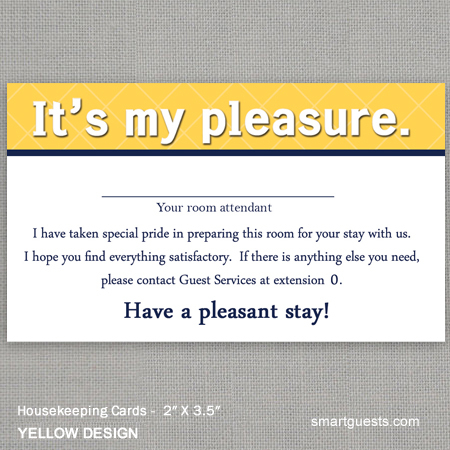 Our Housekeeping Cards are the perfect size to be placed on a nightstand or a desk. Choose from 7 unique designs to fit your brand and property. 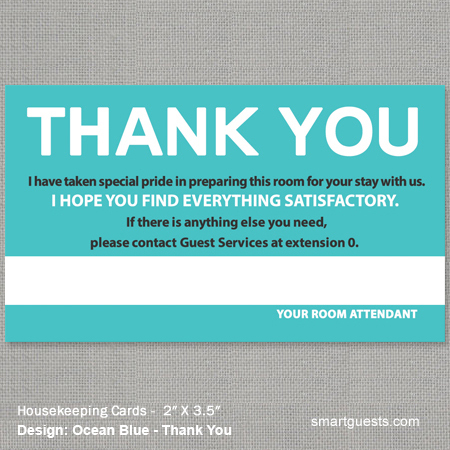 Inform guests their room was cleaned by someone that truly cares. 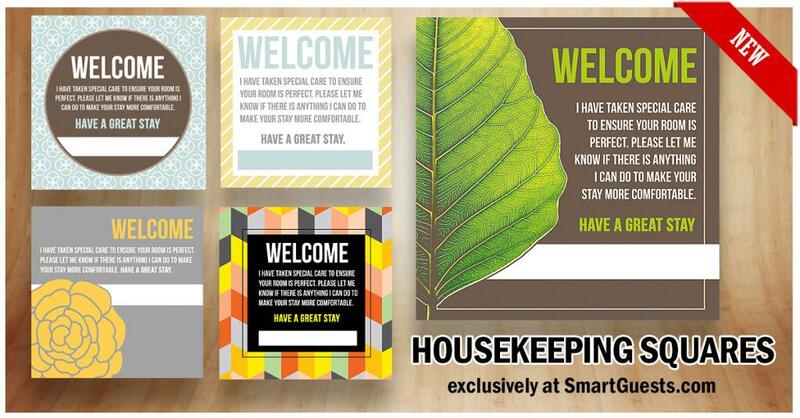 These cards create a human touch that build confidence with your hotel guests. Turnaround time is typically 4-7 business days via UPS Ground.
" I have taken special pride in preparing this room for your stay with us. I hope you find everything satisfactory. If there is anything else you need, please contact guest services at extension 0." Upload a logo to your card then add to cart. Check out, we'll send you a proof to approve before we print.